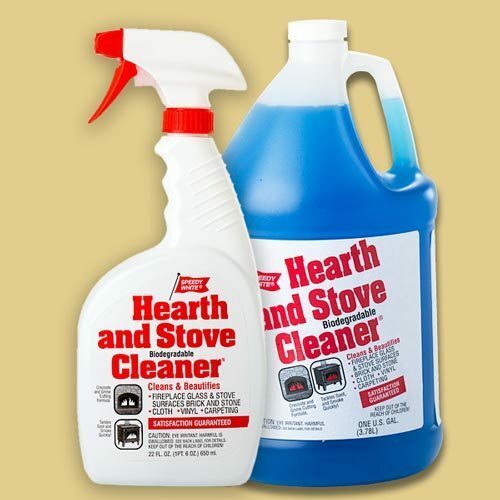 Clean your fireplace, stove, grill & more like never before! 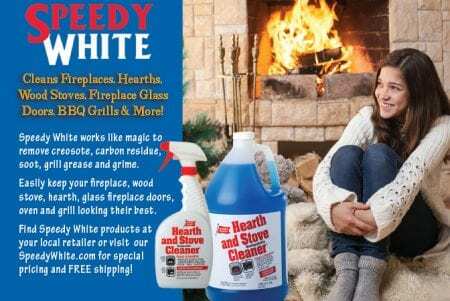 Speedy White cleans fireplaces, fireplace glass doors and stove surfaces like nothing else! 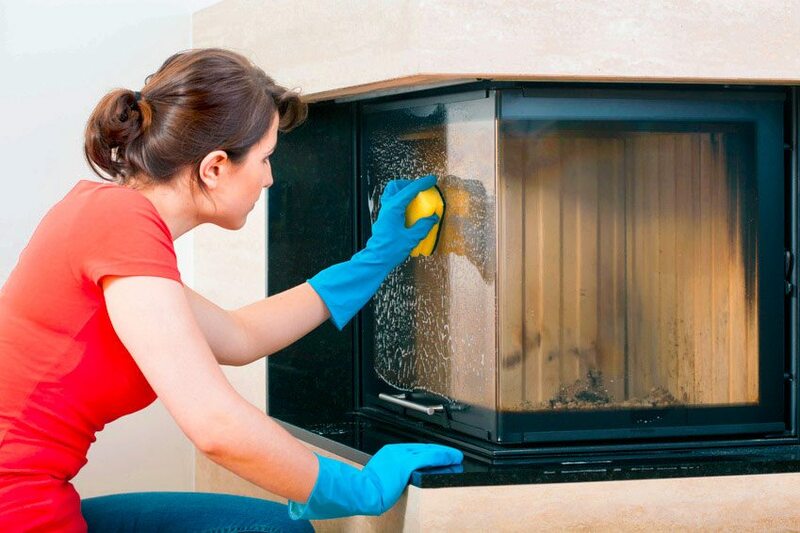 Ski resorts, hotels, B&B’s, lodges, restaurants and pubs use Speedy White to keep their fireplaces, pizza ovens and grills looking great. 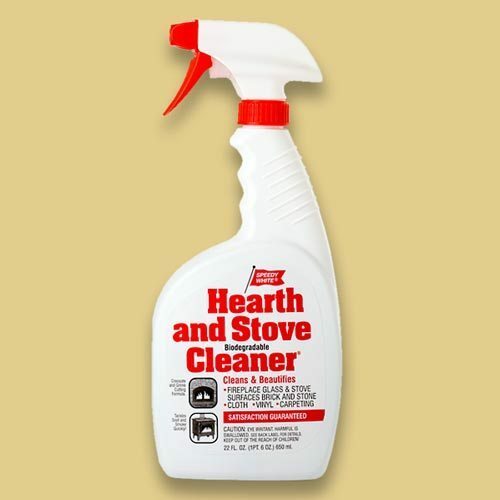 This versatile product is also useful in cleaning carpets, bricks, stonework, vinyl, plastic and in laundry applications. 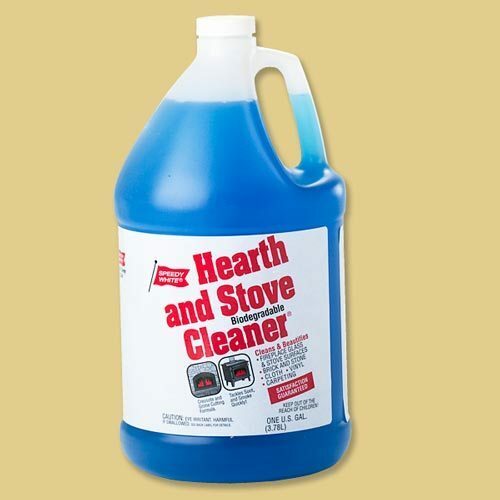 It is also a terrific household cleaner for cooktops, oven doors, bathroom tile grout and more. 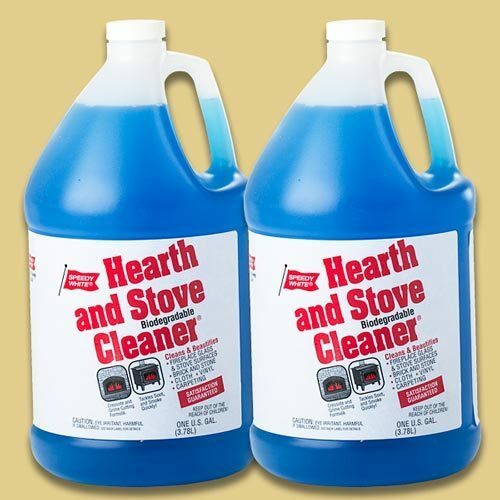 Pool owners use Speedy White on their vinyl and plastic furniture, as well as a light concrete pool deck cleaner. Boaters use Speedy White extensively on their fiberglass and seating to keep things in top quality condition. Auto detailers use Speedy White on difficult carpeting and on carpet and rubber floor mats. 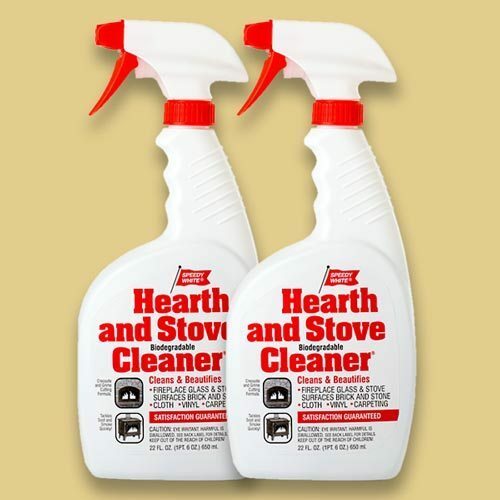 Speedy White Cleans Fireplaces, Stoves, Glass Doors, Stone, Brick and More! 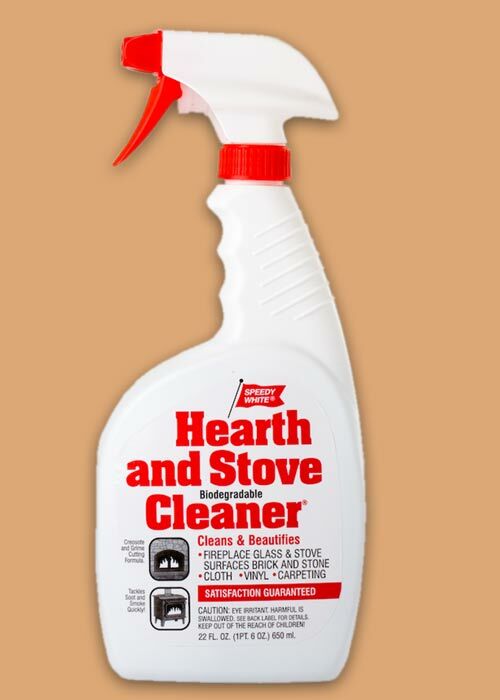 Speedy White is an excellent carpet cleaning product. 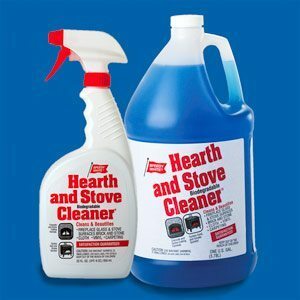 Our formulation is almost exactly what Stanley Steamer carpet cleaning services use for commercial application. Speedy White is also an exceptional degreaser. The US Navy has purchased Speedy White in 5 and 30 gallon containers for use in San Diego. 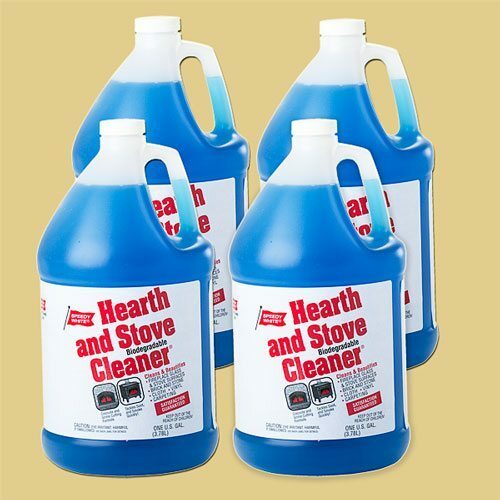 Junk yards buy Speedy White in 55-gallon drums! 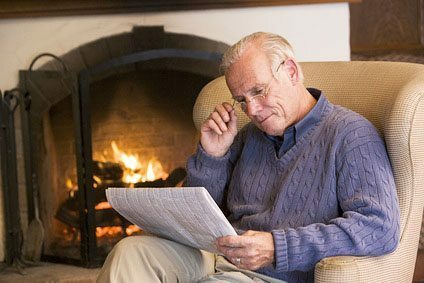 One of the best recommendations we ever received was over a dozen years ago from the Good Housekeeping Research Institute. 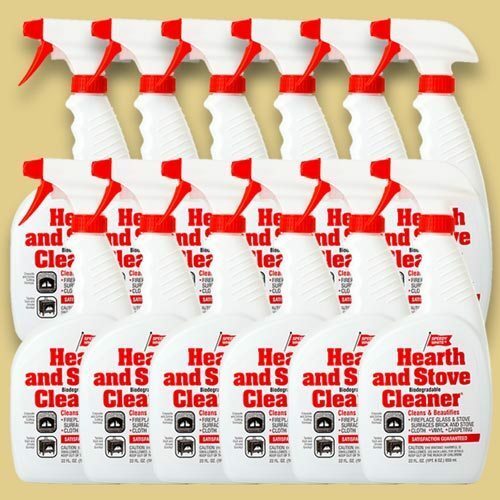 They reviewed seven creosote cleaners and concluded that Speedy White “truly shown” among the competition!